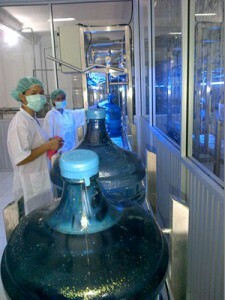 As from May 1st we have opened our first water bottling plant in Canggu, Bali. The plant is producing premium, high quality drinking water for the tourist industry. The plant is run by our Indonesian counterpart PT Air Tulip Indonesia. Ari Martono, our local CEO, is talking care of the operations. A substantial part of the revenues earned with this bottling activity will be used to set up and operate small water shops (Toko Air’s). 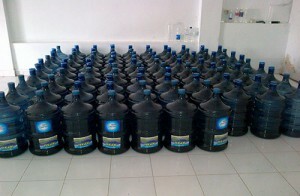 These Toko’s are owned by small local entrepreneurs providing good quality drinking water for the very poor in Indonesia. In buying Premium quality drinking water hotel customers and their tourists guest actively support the good cause and the social water enterprises we are boosting in Indonesia. Let us know if you are interested setting up a similar type of program.